JDC - Archives : Orphans from Romania arrive by train in Holland, where they will live in a special children's village before they go to Palestine. Title Orphans from Romania arrive by train in Holland, where they will live in a special children's village before they go to Palestine. 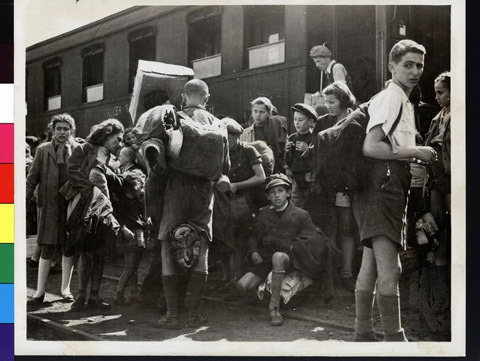 Description A group of the 440 orphans from Romania disembarking the train which brought them to Holland, where they will sleep in a special JDC funded village while awaiting immigration to Palestine.